Being booked on fraud accusations means the law believes you willfully deceived with the intent to gain personally or financially. Fraud is also defined as intentionally deceiving in order to persuade another person to part with something valuable. 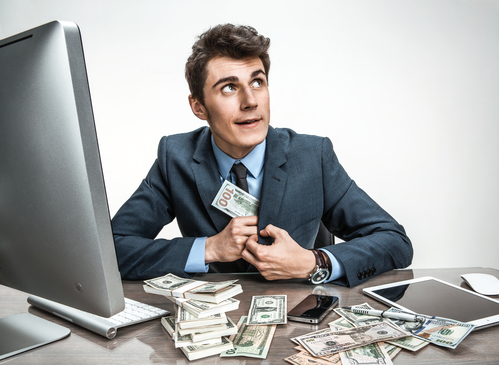 Criminals continue to find new ways to commit fraud, but here are several common types. Stealing money by forging someone’s signature on a check or when someone pays for something with a check and doesn’t have enough money (“insufficient funds check” cases). People pretending to be a company online and taking money with no intent to provide products. People pretending to be a charity and soliciting donations, or a charity misappropriating funds for personal gains. This fraud robs people of their money and identity when thieves open credit cards or obtain assets in their victims’ names. Obtaining people’s credit card information and using it to make unauthorized purchases or cash withdrawals. This is considered a form of identify theft. Inflating or falsely claiming for car damage, health care expenses, and homeowner or renters insurance. This is considered a felony depending on the circumstances. These are just some of the kinds of fraud. Other kinds include debt elimination, pyramid schemes, and website misdirection. These are difficult charges to navigate. Building a defense after being accused of any of these kinds of fraud requires the expertise of a fraud lawyer. Your fraud attorney will argue that you had no intent to permanently deprive another person of the property or money in question. It is difficult for the prosecution to prove criminal intent and it leaves room for your lawyer to argue that you acted without it. You may also argue you had authorization or consent from the alleged victim. When it comes to evidence, insufficient evidence can prevent a prosecutor from proving their case beyond a reasonable doubt. This decision can depend on the judge, the jury, and the nature of the alleged crime. You should consult with an experienced fraud lawyer regarding insufficient evidence. A defendant can claim this defense if someone has used threats or violence to force them to act against their will to embezzle money, property, or the like. In Nevada, the period of limitation to file forgery charges is four years. All other fraud/theft/embezzlement charges that are felonies are three years. If a prosecutor fails to file such charges in a timely manner an experienced fraud lawyer can get the charges thrown out. It’s important to know the defenses for fraud accusations, so you are prepared when you sit down with your fraud lawyer. In order to prove you are guilty of fraud, the prosecution must prove the defendant in a position that would have enabled them to commit the crime; there is evidence that the defendant took, kept, hid, or used the money without the permission or knowledge of the rightful owner; the defendant intended to permanently deprive another person or entity of the embezzled or stolen money or assets. This is not a comprehensive list of fraud defenses. Each case needs to be individually evaluated by a fraud lawyer in order to build a credible defense. There are several other defenses that can be built, but they require an experienced fraud lawyer. Jesse Kalter has defended countless fraud charges. His tenacious pursuit of justice has gotten numerous fraud cases dismissed or reduced. Jesse Kalter is available to serve the people of Reno, Sparks, Carson City, Fallon, Fernley, Dayton, Yerington, Douglas County, and all other Northern NV rural counties. Fraud Accusations Need Immediate Action.